MOSCOW, the Russian Federation (BulgarianMilitary.com) – The Indian government has decided to buy an additional number of Russian T-90 tanks, and Russia will extend the duration of the relevant license accordingly, learned BulgarianMilitary.com, quoting a press release from the Russian Federal Service for Military-Technical Cooperation (FSMTC). 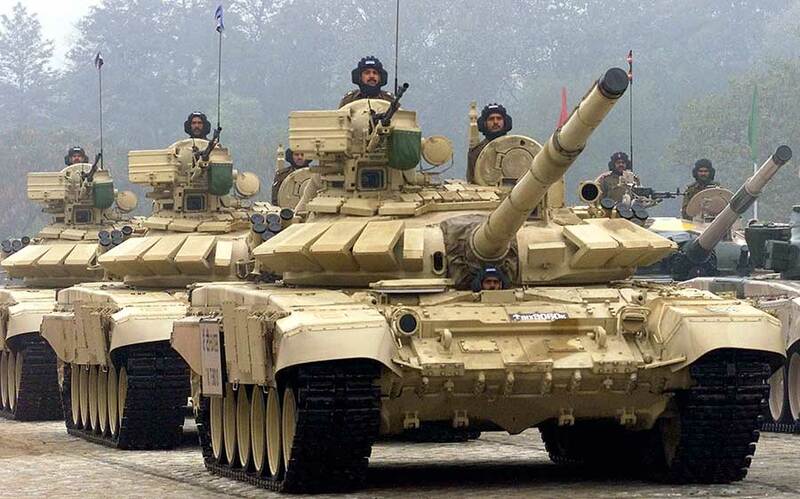 “The Russian side is ready to prolong the license and increase the production of T-90 tanks in India in connection with the Indian government’s decision to their additional purchase in the interest of the national armed forces”, states the press release. According to the British edition Jane’s, India will buy approximately 460 T-90MC tanks from Russia, quoting an anonymous source. BulgarianMilitary.com recalls that the first contract between Russia and India for T-90 tanks was signed in 2001, as the initial delivery included 124 tanks and kits as well as spare parts and equipment for an additional production of 223 tanks. Three years later, in 2004, the two sides agreed to a licensed production of thousands of armoured vehicles in India. Yesterday (Author: April 9), this comment by Vladimir Drozdov was confirmed and supported by the press release of the Ministry of Defence of the Russian Federation , saying that “Russia will continue to help its Indian partners in the further production of this armoured fighting vehicle”.